How does the cognitive stimulation therapy from CogniFit work? Why choose CogniFit cognitive stimulation therapy? Is the cognitive stimulation therapy program right for you? For how long should you practice the cognitive stimulation therapy exercises? What happens when you don't stimulate your cognitive skills? Get access to a personalized cognitive stimulation therapy program from CogniFit. Challenge your brain. Activate and strengthen your main cognitive skills with cognitive stimulation therapy. Comprehensive results with cognitive strength, progress, and evolution. The cognitive stimulation therapy program from CogniFit makes it possible to activate, exercise, and strengthen important cognitive abilities (attention, memory, executive functions, planning, perception, etc. ), and the components that make up these skills. This cognitive stimulation therapy program is based on cognitive reserve and neuroplasticity to improve performance through online brain games. The activities in this tool combine different therapeutic exercises and learning and rehabilitation techniques aimed at re-training and improving the skills that each individual needs to train most. The intervention battery from CogniFit is made up of systematically and strategically organized, multi-discipline tasks. The games and tasks are designed to be used by both professionals and individuals alike, which is why the platform is presented as simple games that can be played on a computer or mobile device. These cognitive stimulation therapy tools are appropriate for the healthy population, people conscious of their brain health, or patients with certain kinds of brain injury or decline in the central nervous system. All of the cognitive stimulation therapy programs from CogniFit are validated for children, teens, adults, and seniors who want to strengthen their mental ability and compare cognitive level with the rest of the world. CogniFit offers a series of online cognitive stimulation therapy programs, completely personalized and adapted to each person's cognitive strengths and areas of improvement. The cognitive stimulation therapy tools from CogniFit have been shown to activate and strengthen fundamental cognitive skills with brain plasticity. By brain training with this leading program in the field of cognitive intervention and rehabilitation, the user is able to stimulate specific neural activation patterns. The repetition of these patterns through clinical tasks and validated games can help improve connectivity in the brain, create new synapses, and myelinate neural circuits able to recover and/or reorganize main cognitive function. The cognitive stimulation therapy programs from CogniFit were created to stimulate the adaptive potential of the nervous system and to help the brain recover from structural alterations, disorders, or brain damage that affects cognitive function. It's important to understand that CogniFit's cognitive stimulation therapy isn't about randomly playing games. It's not enough to play games online and hope that it helps improve cognition. A proper cognitive training program requires a therapeutic goal, a theoretical mark, scientific validation, and regulation in the games, like CogniFit. This is the only way that we can be sure that our brain is receiving the cognitive stimulation therapy that it needs. Our mental ability is related to certain brain activation patterns, and depending on how each of the neurons is connected and activated in the different parts of the brain, our abilities will be more or less efficient. Any user, either individual or professional (researchers, medical professionals, educators, etc. ), can easily use this cognitive stimulation therapy program. No prior knowledge of neuroscience or technological systems is necessary to successfully use the CogniFit system. The platforms allow for an intuitive, agile, and efficient management of the tasks and results of the cognitive training. The cognitive stimulation therapy program from CogniFit makes it possible to activate and strengthen a number of cognitive skills easily and while having fun. This tool has been scientifically validated. It is scientifically validated and renowned for its professionalism and efficiency. The attractive design of the brain training games helps improve motivation, especially in children, ecouraging them to train more. All you have to do is log in and start training. The level, the game, and the type of training in the cognitive stimulation therapy programs are automatically regulated in each platform, giving you a completely personalized training program. The data is gathered and coded as you play the different games and cognitive stimulation exercises. CogniFit's professional tool automatically analyzes and compares the data, which means that you're free to focus on your training, rather the worry about tracking your cognitive progression for each set or individual cognitive skill, after each training session. The instructions are interactive, which makes them easy to understand. CogniFit is designed for children, teens, adults, and seniors both with and without pathologies or a known neurological disorder, which means that anyone can see the benefits that cognitive stimulation therapy has to offer. As CogniFit is an online platform, the cognitive stimulation therapy programs can be accessed from almost anywhere with Internet. This makes it possible to train your brain and rehabilitate cognitive skills without having to be in the room with a medical professional. Doctors and psychologists can track patient progress from their office, while users are at home. The cognitive stimulation therapy from CogniFit can be used by almost anyone. Everyone can develop cognitive skills in order to optimize and improve function. The cognitive stimulation therapy from CogniFit is designed for the healthy population, as well as people with some kind of brain injury or disorder. No matter your cognitive state, the goal is always to improve a set of cognitive skills. It's not necessary to have a specific problem in order to start training and getting the most out of your cognitive abilities. With the cognitive stimulation therapy from CogniFit, the general population can improve areas of improvement, as the brain's functions and structure and be modified to adapt to its environment. For example, you could try to improve memory in order to reduce forgetfulness or retain information more easily. People with some kind of psychological or neurodevelopment disorder may see lower cognitive scores in some of their skills. Proper cognitive stimulation therapy can help correct or reinforce these skills. People who have suffered any type brain damage were likely people who were used to having certain cognitive functions, and, for some reason (like stroke, TBI, tumor, or neurodegenerative disorder), has seen a decline in their abilities. This can be frustrating for both the patient and his or her family, which is one of the reasons why it is important to recover, strengthen, or maintain cognitive skills. A proper cognitive stimulation therapy can help the patient restore, compensate, or substitute cognitive functions. In the case of neurodegenerative diseases, cognitive stimulation therapy can help slow deterioration and help conserve certain abilities for a longer period of time. In some cases, this can make it possible to improve the quality of life in these patients as the disease continues to develop. With the proper cognitive stimulation therapy, it's possible to increase cognitive reserve, slow cognitive deterioration or cognitive effects in a neurodegenerative process, restore cognitive skills altered by normal aging, re-train damaged abilities after brain damage, etc. All of this is possible because of the brain's ability to modify function and structure. Through cognitive stimulation training, the neighboring areas to damaged parts will assume lost function. If you're interested in stimulating and activating all of your cognitive abilities, or if you don't have any specific cognitive problems, the general cognitive stimulation therapy program from CogniFit is the best option. 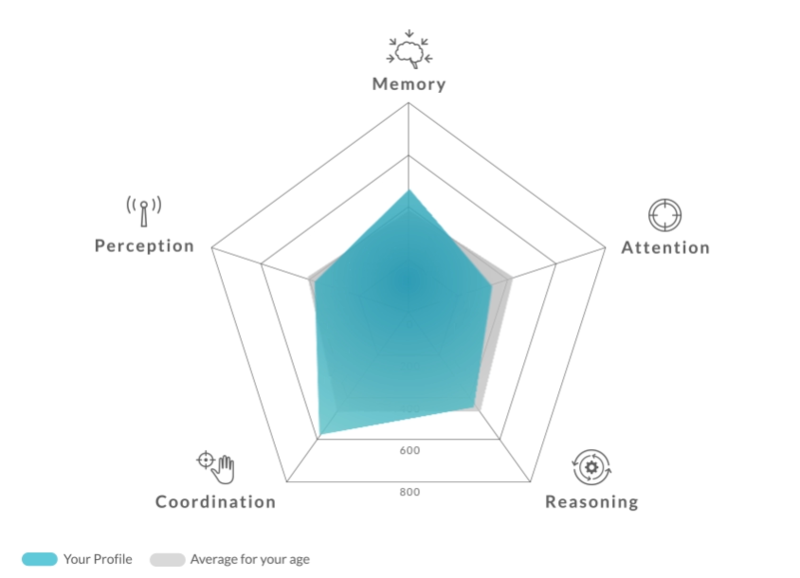 With more than 30 games and 18 different assessment tasks, CogniFit is able to measure and improve fundamental cognitive functions. This tool is aimed at people of all ages (children, teens, adults, and seniors), both with and without some kind of brain injury or dysfunction. PersonalizedGeneral cognitive stimulation: The general cognitive stimulation program is the most complete training program that CogniFit has available. This program does not focus on any single pathology or disorder, which is why it is appropriate in a large number of cases. The personalized training program is helpful to maintain or stimulate all of the different aspects of our cognitive state, and adapts the cognitive demand to the needs of each individual user. AttentionBrain training program for attention: Attention is one of our most basic cognitive skills, but it's also one of the most commonly affected skills by brain damage or developmental disorders. CogniFit offers a number of clinical brain games designed specifically to stimulate and improve attention. PerceptionBrain training program for perception: We can stimulate and activate perception with more than 30 games and tasks specifically designed to compensate for the difficulties that may be present when capturing, processing, and making sense of the information around us. Memory Brain training program for memory: Lapses in memory are one of the main concerns that people with some type of cognitive problem talk about. 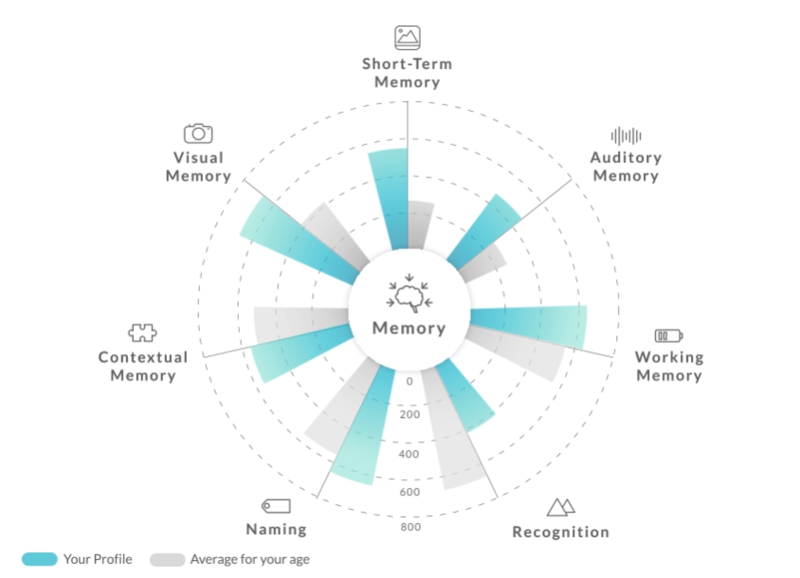 It is possible to train our brain's ability to code, store, and recover information with this cognitive brain training program for memory. Executive FunctionsBrain training program for executive functions: Executive functions regulate complex processes, like reasoning. This program was designed specifically to test executive functions in children, teens, adults, seniors, and the elderly. CoordinationBrain training program for coordination: This training makes it possible to improve movement with different games to designed to train and improve coordination. Children with DyslexiaCognitive stimulation therapy for children with dyslexia: Dyslexia is a common learning disorder (it affects an estimated 10% of the population) and affects different cognitive skills used in learning and reading. Training with CogniFit can help improve these altered skills. Children with ADHDCognitive stimulation therapy for children with ADHD: About 3 to 7% of children are estimated to have Attention Deficit Hyperacitve Disorder (ADHD). This learning disorder affects a number of different cognitive skills. Training with CogniFit can help stimulate these cognitive skills in order to reduce the impact of this disorder on daily life. Children with dyscalculiaCognitive stimulation therapy for dyscalculia: CogniFit training for dyscalculia is designed to stimulate the cognitive skills used in learning mathematical skills and concepts. Children with insomniaCognitive stimulation therapy for insomnia: With the cognitive training programs from CogniFit, it's possible to improve the cognitive skills altered by childhood insomnia. Adults with Multiple SclerosisCognitive stimulation therapy for patients with Multiple Sclerosis: During the development of the disease, it is common to see alterations in the patient's cognitive skills. CogniFit brain training makes it possible to stimulate cognitive skills and slow decline. Adults with brain injuryCognitive stimulation therapy for patients with brain injury: Brain injury can cause a wide range of cognitive alterations depending on the brain areas affected. This training is designed to automatically stimulate the brain areas affected by the injury. Adults with cancerCognitive stimulation therapy for chemo brain: Many cancer patients suffer from cognitive affects due to chemotherapy. CogniFit makes it possible to stimulate weakened cognitive skills to reduce impact on daily life. Adults with insomniaCognitive stimulation for people with insomnia: It's been shown that the CogniFit training for adults with insomnia may help both cognitive skills and sleep in adults with this sleep disorder. Adults with dyslexiaCognitive stimulation therapy for adults with dyslexia: Dyslexia is a learning disorder that can affect both adults and children. This is why CogniFit has a created a program that is designed to train the cognitive skills altered by this disorder in adults with this disorder. Adults with depressionCognitive stimulation for people with depression: Patients with depression can suffer from neurocognitive alterations caused by the disorder. CogniFit training for people with depression may be a helpful complementary tool to help overcome and reduce the symptoms associated with this problem. Seniors with mild cognitive impairmentCognitive stimulation therapy for seniors with mild cognitive impairment Mild cognitive impairment (MCI) is an alteration, not caused by normal aging, of a number of different cognitive skills. CogniFit makes it possible to stimulate these cognitive skills to slow this cognitive decline. Seniors with dementiaCognitive stimulation therapy for dementia: Every year, there are 9.9 million new cases of dementia. This is a term applied to a range of different diseses, each with different problems. CogniFit training for dementia is designed to help stimulate the cognitive skills that may be altered in each case, adapting to the needs of each patient. Seniors with Alzheimer's DiseaseCognitive stimulation therapy for patients with Alzheimer's Disease in the early stages Alzheimer's Disease is the most common type of dementia. This neurodegenerative disease is characterized by a memory significant alteration, but other cognitive skills can also be affected. Training with CogniFit makes it possible to simulated these cognitive skills to help slow cognitive decline. Seniors with Parkinson's DiseaseCognitive stimulation for people with Parkinson's DiseaseParkinson's Disease is a neurodegenerative disease characterized by tremors, stiffness, and cognitive alterations. The cognitive skills related to this disease can be stimulated with CogniFit to help reduce cognitive decline. Aside from improving cognitive skills, as professionals, we need to apply some type of cognitive stimulation to the people that we work with, whether it be in clinical, educational, or investigative areas. Professional platform for doctors and psychologistsCognitive stimulation therapy platform for doctors and psychologists: Cognitive stimulation therapy can be used in hospitals, medical centers, rehabilitation clinics, psychology clinics, and even at a patient's home. CogniFit has a platform that makes it possible to manage patients, track progress, and easily assign cognitive assessments and cognitive stimulation therapy to patients. This professional tool makes it possible for a doctor or psychologist to send training and assessment to a patient at home, right from their office. Researchers platformCognitive stimulation therapy platform for researchers: We live in a world where science is constantly improving and advancing, and there are more and more scientific studies looking into the computerized cognitive stimulation therapy. This platform offers researchers the ability to assess and train study participants quickly and easily, streamlining the data-gathering process. Schools platformCognitive stimulation therapy platform for schools and educators: Students at school and education centers can see the benefits of brain based learning in their classrooms. With the platform from CogniFit, educators can apply a cognitive stimulation therapy program adapted to each student and track their cognitive progress. A complete cognitive stimulation therapy sessions usually lasts about 10-15 minutes. CogniFit recommends 3 training sessions a week on nonconsecutive days. CogniFit also offers automatic training reminders which can be adjusted in the user's settings. During each training session, the user will be presented with two brain stimulation games to activate the brain, and an assessment task to measure improvement and performance. This cognitive stimulation therapy program form CogniFit was designed to automatically assign the specific games, at the appropriate level, to each user. We can see the importance of strong, well-developed cognitive skills in daily life, as they allow us to be more efficient in day-to-day tasks. When we ask our brains to carry out a certain task related to one or multiple cognitive skills, the connections and neurons related to the skills are trained and strengthened. The repeated stimulation of the neural activation pattern through cognitive stimulation helps improve cognition. However, if you don't train your cognitive functions, the brain reduces the resources that it sends, meaning that cognitive performance will likely suffer due to lack of appropriate activation. With adequate cognitive stimulation therapy, it's possible to avoid this deterioration. Something that usually causes confusion is the difference between cognitive stimulation and neuropsychological rehabilitation. Cognitive stimulation could be defined as " the activities aimed at improving general cognitive performance or one of its processes and components, whether it be in healthy subjects or patients with some type of brain injury in the central nervous system" . In other words, cognitive stimulation strengthens cognitive skills with brain games. Neuropsychological rehabilitation, however, is related to recovering lost or altered cognitive skills after damage. As such, while cognitive stimulation sets out to improve cognitive state, neuropsychological rehabilitation works to re-establish the patient's cognitive function as much as possible, both physically and psychologically. References:  Lubrini, G., Periáñez, J.A., & Ríos-Lago, M. (2009). Introducción a la estimulación cognitiva y la rehabilitación neuropsicológica. In Estimulación cognitiva y rehabilitación neuropsicológica (p.13). Rambla del Poblenou 156, 08018 Barcelona: Editorial UOC. Shatil E (2013). Does combined cognitive training and physical activity training enhance cognitive abilities more than either alone? A four-condition randomized controlled trial among healthy older adults. Front. Aging Neurosci. 5:8. doi: 10.3389/fnagi.2013.00008 Korczyn AD, Peretz C, Aharonson V, et al. - Computer based cognitive training with CogniFit improved cognitive performance above the effect of classic computer games: prospective, randomized, double blind intervention study in the elderly. Alzheimer's & Dementia: The Journal of the Alzheimer's Association 2007; 3(3):S171. Shatil E, Korczyn AD, Peretzc C, et al. - Improving cognitive performance in elderly subjects using computerized cognitive training - Alzheimer's & Dementia: The Journal of the Alzheimer's Association 2008; 4(4):T492. Verghese J, Mahoney J, Ambrose AF, Wang C, Holtzer R. - Effect of cognitive remediation on gait in sedentary seniors - J Gerontol A Biol Sci Med Sci. 2010 Dec;65(12):1338-43. Evelyn Shatil, Jaroslava Mikulecká, Francesco Bellotti, Vladimír Burěs - Novel Television-Based Cognitive Training Improves Working Memory and Executive Function - PLoS ONE July 03, 2014. 10.1371/journal.pone.0101472. Gard T, Hölzel BK, Lazar SW. The potential effects of meditation on age-related cognitive decline: a systematic review. Ann N Y Acad Sci. 2014 Jan; 1307:89-103. doi: 10.1111/nyas.12348. 2. Voss MW et al. Plasticity of brain networks in a randomized intervention trial of exercise training in older adults. Front Aging Neurosci. 2010 Aug 26;2. pii: 32. doi: 10.3389/fnagi.2010.00032.